Even with birthdays separated by 60 years and 10 days, entertainers Nellie McKay and Doris Day are cut from the same cloth. The two share a passion for animal rights, a sunny gosh–gee–swell positivity and a love for the Great American Songbook—as well as a depth, complexity and progressivism that belies the toothy grins for which both are known. McKay’s Verve Records salute to the woman born Doris Mary Ann Von Kappelhoff, Normal As Blueberry Pie – A Tribute to Doris Day, features the iconic New York singer/songwriter interpreting a colorful selection of songs from Day’s extensive recordings—with the smart arrangements and crackerjack instrumentalists listeners have come to expect. 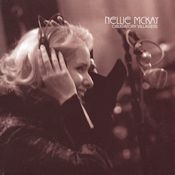 “We were trying to connect with the many time periods in Doris’ life,” McKay explains, “from the big bands to the post–McCarthy era.” For Nellie, producing, arranging, and performing Normal As Blueberry Pie was the natural outcome of all the years she has spent listening enraptured to Ms. Day’s music. 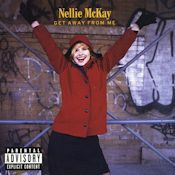 “She was – and still is – ahead of her time,” says Nellie, who was awarded the Doris Day Music Award in 2005 for “The Dog Song” in recognition of her dedication to animal rights. 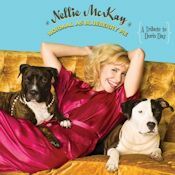 Nellie reviewed a recent biography of Day for The New York Times, and is one of the few people in 30 years to be granted an interview with Ms. Day (The Bark magazine, 2007). “What she possessed – beyond her beauty, physical grace and natural acting ability – was a resplendent voice that conveyed enormous warmth and feeling,” writes Nellie (The New York Times, 2007). 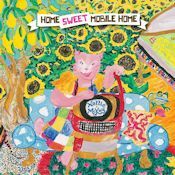 Normal As Blueberry Pie features 12 songs handpicked from over 600 recordings of Ms. Day's, as well as an original by McKay. The album bridges the big band era of the ‘40s (“Sentimental Journey”,“Dig It”) with Day’s later film career (“The Very Thought of You” from Young Man With a Horn, “Send Me No Flowers” from the film of the same name). So why Doris? What is it about this mid–century star that so captivated a teenager coming of age in northeastern Pennsylvania? 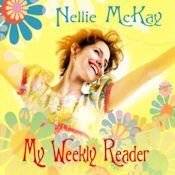 ‘I was initially attracted to her optimism and her gaiety,” McKay says. “Her approach to life is irresistible.” But as the young prodigy continued exploring, she discovered Day’s sunny smiles hid reservoirs of strength, with the star remaining “America’s sweetheart” through a behind–the–scenes horror show: abusive husbands, personal trials and financial calamity. McKay quotes Greta Garbo to summarize Day’s mysterious appeal: “Anyone who has a continuous smile on (her) face conceals a toughness that is almost frightening.” “It’s really incredible that something on a major label hasn’t been done in tribute to Doris Day before, because she’s made so many records,” McKay marvels. 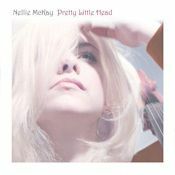 “It seemed like her film career overshadowed her music, and there’s so much there.” Nellie plays several instruments on the album, and used ‘old–time’ mics to evoke a wide range of moods (all lovingly engineered and mixed by recording maestro James Farber). And then you’re like “hey yeah what’d you say? But you’re male so what should I expect? Hey man what’s happening with you? Oh did I tell you we got Fifi spayed? Now can we be chummy? Darwin asks "You Got The Money?" Face to face, "You got the money?" Chinga Chinga Chinga Chinga oh ho lay ! "I wanna, I wanna, I wanna, I wanna I wanna pony pony"
"I hate you mother! Leave me alone!!" I love you mommy i love you mommy"
"I want a suicide pill. Give me a suicide pill mommy!" "I wanna die with you, I wanna die with you"
Won't these women never get a life? Maxine Schreck was a very lucky lady! Maxine Schreck was a very lucky girl! The best dressed messer in all Washington, D.C.
Wah ah ah ah ! Do the zombie whoah yeah ! Do the zombie yeah yeah yeah yeah ! Do the zombie whoah wow yeah ! I'm feeling hot as Brian! Oh I can't dance ! "Please, Lord, Send me a hard luck childhood"
"Please, Bub, Spare me a hot romance"
"Please, Lady, Gift me with genius, not pleasure"
"Please, Mrs. Henry, Start me off without a chance"
And let me wallow there, even as I lose my sea"
You must be a manic guy to be so sadistic"
"Please, Lord, I just love being me"
"When will you be mine?" "What home shall we have?" Just build it inside a bodega, bodega"
I yell, "my grand Cayuse, fight with me to save the bodegas"
"The demons have lost their demands"
Make love to me in a bodega, bodega"
There are so many ??? To make me say, "I do. Said: "Hey, now, what am I forgetting?" Made a little promise to you, and I'm late again! The fridge said: "Shouldn't you be getting?" Then the conductor said: "Fire on track!" I said: "I know you're waiting, but what can I say?" Said: "I'll see you next week in Trenton." Woah, woah, woah, woah, woah, woah, woah! Y me gusta, me gusta mañana. But warning signs are on the ??? They always glue to me at ??? You want the strife of humankind to finally cease? What you be tokin round rainbow's end?